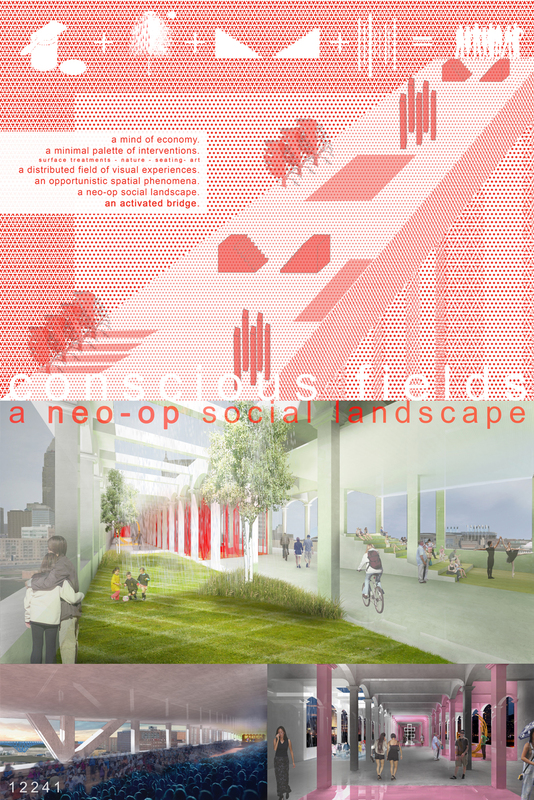 Overview: The Conscious Fields design proposes an experiential transformation of the existing bridge. Inspired by the provocative imagery of Op Art, the existing structure of the bridge provides the frame in which a series of economical fields of perception are constructed. As the design concept focuses on the visual experiences in the bridge, it was the intent to limit the architectural interventions into four typologies; surface treatment, nature, seating, and art. Each of the methodologies, although different in aesthetic, is an opportunity to activate a variety of social interactions without implementing physical boundaries. 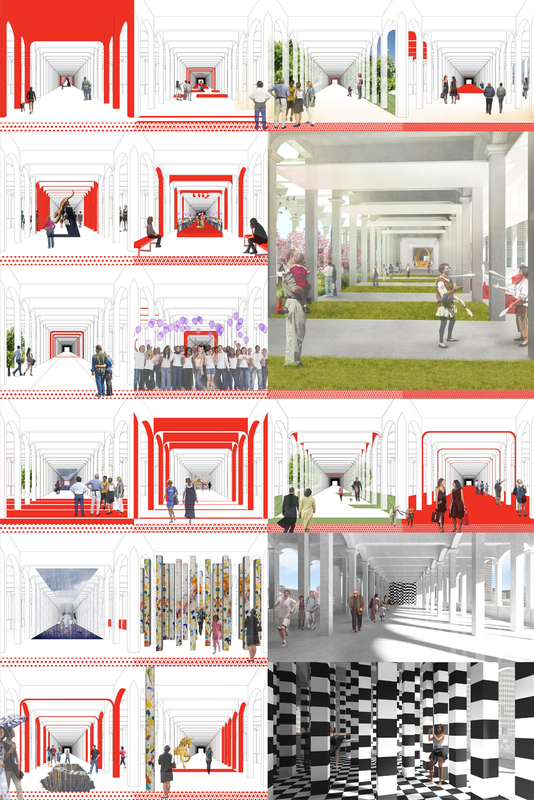 By articulating these spaces without walls, the boundaries become organic and adaptive, transforming the bridge into an active social landscape of opportunistic interaction. 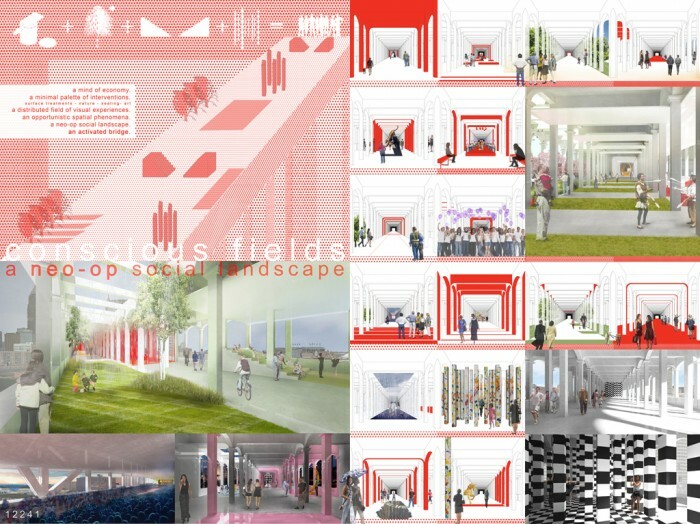 The fluidity of these spaces augments the spatial understanding of the bridge, allowing it to adapt to every individual, from a continuous horizontal plane to a field of separate moments. It is this array of experiential fields that emerges from the motivation to construct space through the perception of space. The effect of the phenomena will shift the understanding of bridge from a functional object to an engaging environment: a neo-op social landscape.